These bushings replace the staked rubber bushings on the Front Upper Control arms of the SC300/400, Supra and Soarer. 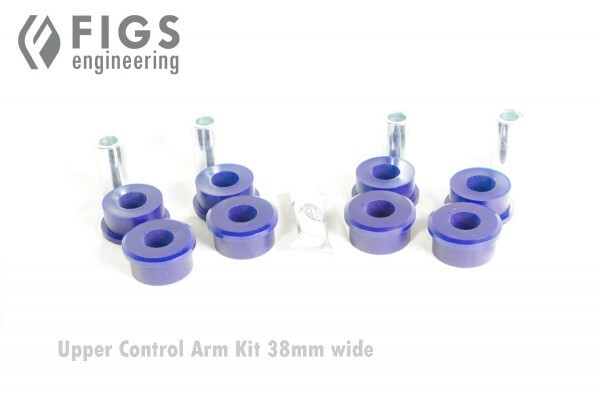 This bushing set is intended for vehicles with 38mm wide bushing housing, please verify your specific arm for fitment. A bearing C-Clamp is strongly suggested for ease of install. A press will work even better.